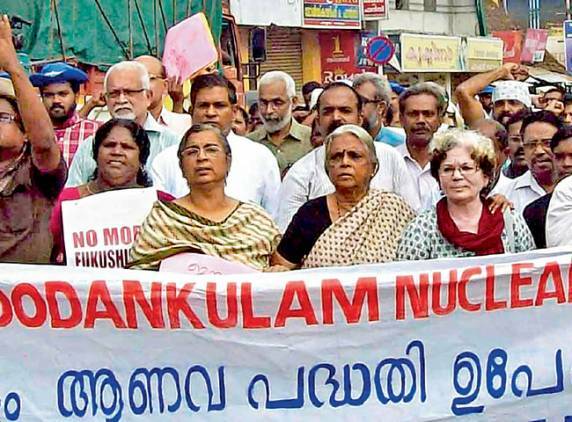 On Sunday, September 16, at Inchivila on the Kerala-Tamilnadu border, Kerala police stopped over 200 Kerala antinuclear protesters from proceeding to Kudankulam. 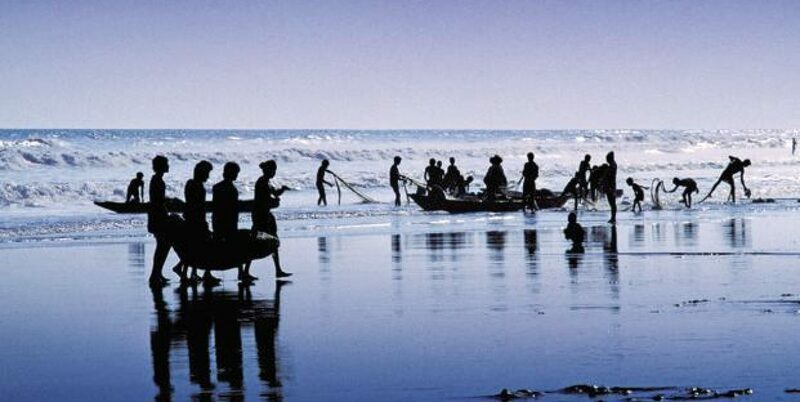 The protesters led by prominent writers, environmental and social activists, responded to a call for support from the fisher folk of Kudankulam. 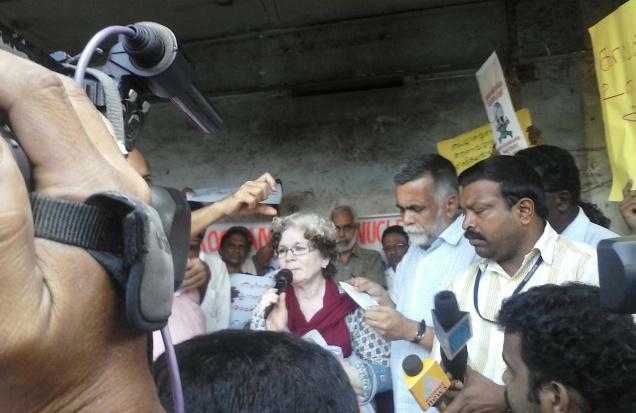 Writer Sarah Joseph pointed out that opposition to the nuclear power plant was gaining in strength with the former chairman of the Atomic Energy Commission coming out against it. Therefore, the Prime Minister’s suggestion that the emotional and mental health of the agitating local villagers ought to be checked had forfeited its validity. The stopped marchers led by poet Sugathakumari, writer Sarah Joseph, Vicar-General Fr. Eugene Pereira of the Thiruvananthapuram Archdiocese, former diplomat M.K. Bhadrakumar, and social activists K. Ajitha, B.R.P. Bhaskar, C.R. Neelakantan, Vilayodi Venugopal, Gandhian P. Gopinathan, and N. Subramanian, staged a sit-in on the highway. Even after the police action, 60-odd activists of the Kerala Anti-Nuclear Support Group, which organised the March, proceeded to Kudankulam by bus. However, Tamilnadu police stopped them at Anchugramam. Even so, a small group went to Nagercoil and attempted to reach Kudankulam in a private bus.